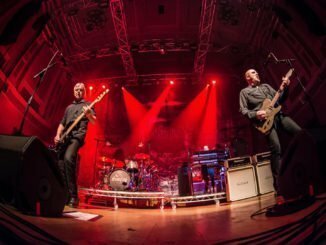 The Stranglers will be hitting the road again in March 2018, this time with The Definitive Tour. With the vast catalogue of material that the Stranglers have in their recorded arsenal, it is never easy to decide exactly which songs to bring together on record or perform live on tour but, in March 2018, the band will present their “Definitive” collection. The Definitive Tour is set to coincide with the planned re-release of their first seven albums (six studio and one live) originally issued on the UA and EMI/Liberty labels. 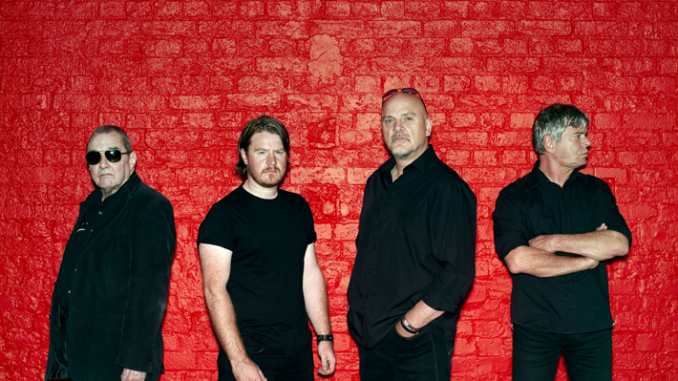 Mark Millar recently caught up with the Stranglers frontman Baz Warne for a chat. 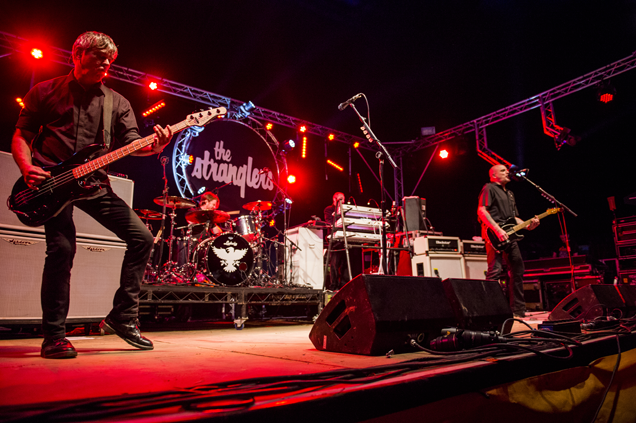 The Stranglers will be hitting the road again in March, this time with The Definitive Tour. The UK tour kicks off in the Ulster Hall in Belfast on March 3rd. What can fans expect from the shows? Well, I guess the stock cliché answer is to expect the unexpected. Its a cliché by the fact its right. First and foremost the main criteria, after all these years is to please ourselves. It would be effortless to get on the nostalgia thing and just play the same songs year in year out, and of course, there are some songs that we have to play, and we all know what they are. It’s going to be a new bag we always like to pull out songs that we haven’t played for decades and blow the dust off them. There may even be some new pieces as well. We have toured for god knows how many years in March and I think its about time that we started to play some new material, to be honest. There will be stuff from the most recent album, some old stuff, obscure stuff and hopefully some brand new stuff – if we are lucky. It’ called The Definitive Tour, so that means a definitive set of songs chosen from your vast back catalogue. Were there any arguments about what songs to include in the set list? No not so many arguments just discussions. We usually start to discuss these things in November. We are all spread out throughout England and Europe, so we don’t get together easily it’s all got to be sorted out. Emails start flying around in October and November and suggestions are made about what songs to play on the tour. When we get to rehearsal, we might find that some of the song suggestions are not going to work. We usually have a pool of about 35-40 songs. We will do the three Irish gigs, and by the time we get to the mainland often the set changes when we tweak it and iron the creases out. By the time we are about five or six shows in that is generally what we stick with. Before the UK tour, we are going to New Zealand and Australia to do seven or eight appearances so we will be running through some stuff there. We like to utilize our sound checks and play some new stuff and rehearse if time allows us. 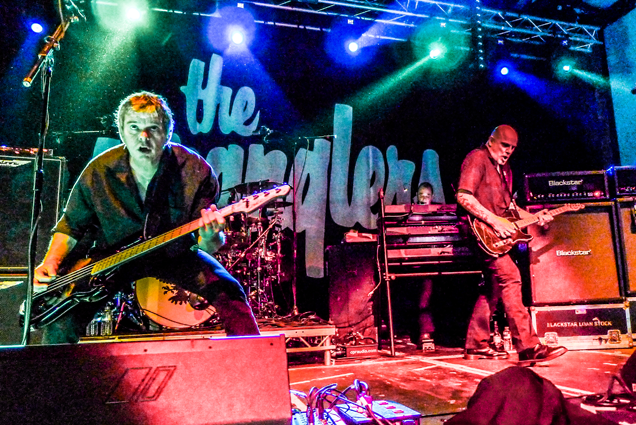 The Stranglers are one of the UK’s most exciting, credible and influential British groups and are as popular now as ever. Do you notice a lot of younger people attending your shows nowadays? Absolutely! Its got to the point now where the original fans who were all teenagers in the seventies have grown up and have got families of their own, and you see them bringing their children and in some cases grandchildren and grandparents as well. Our audience is seriously diverse. A lot of the fans bring the younger kids, they plonk them down on the front row, and you can see them whispering into the kid’s ears telling them the history of specific songs. It’s great. On the rare occasion, there have been some young kids, and we get them plonked over the barrier where they are safe, and we give them pop and crisps and sweets so they can sit and not get bashed around. Its great the fans seem to be getting more diverse as the years go on actually. 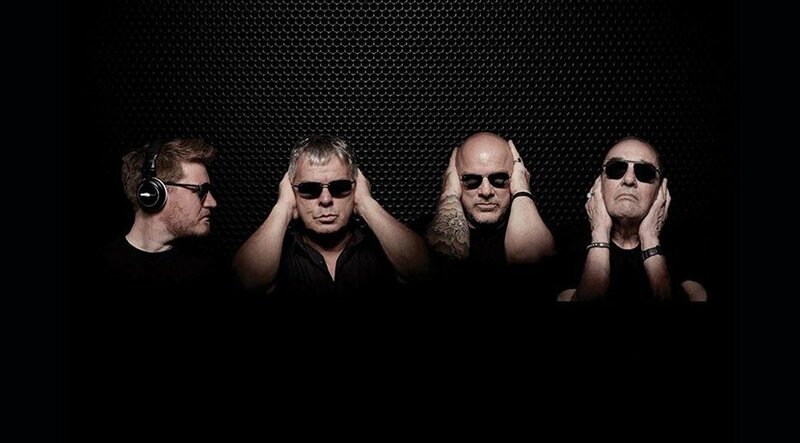 Why do you think the Stranglers are still thriving after more than 40 years? For me personally over and above everything else is the enduring nature of the songs. The songs are classics they are not classics for no reason. Apart from anything, no one sounds like us; no one has ever sounded like the Stranglers. As soon as you hear us playing on the radio, you instantaneously know who it is. There have been a few lineup changes although not as many as you would think after a 43-year career but the band has never split, the group has always progressed from the minute they started in 1974 to me talking to you today the band has never split up. I think you just have to be true to your roots. I don’t think there is anywhere in the world where you feel more comfortable and more at home than when you are on the stage – I know that sounds corny, but it’s because that’s where you can be who you truly are and I think that radiates to the crowd. These people come and see us every single year, and a lot of them take a month off work and their whole summer holidays to come and see the Stranglers. And they get to meet all their mates, and when we look at their faces, they always seem to me like they are seeing the band for the first time. There is still so much enthusiasm and affection for the group. I think it is because we still refuse to tour the nostalgia line, we always get out there every year and give it some. We aren’t getting any younger; we are no spring chickens, so we tend to play each gig as if it’s our last and people respond to that. I suppose you feed off that and it keeps the band interested? Yeah as I said before we have to please ourselves. The band got together in the early seventies to make music and as Jet Black always says – they didn’t think they would last 40 minutes never mind 40 years. I’ve been in bands before where you will do anything to get your guitar out and sit across the room from your mates and make a noise. It’s one of life’s great pleasures. When you walk on that stage, and the lights go up, and you see a room that’s bursting with people, and they are all there for a couple of hours enjoyment from you it’s excellent and we never lost that. You can feel jaded because touring is tiring, but there’s nothing like walking on stage and getting that adrenaline rush and seeing the fans – Long may it continue. Therapy? Will be your special guests on the whole tour. Are you a fan of the band? Yes very much so they did a great version of one of our tunes Nice ‘N’ Sleazy a few years ago, and we came across them in Holland about 18 months ago at a festival. We got together and had a drink, and when we started talking about ideas for touring and support bands somebody mentioned them, and they leapt at the chance, so it’s going to be great. We always have a good camaraderie with the bands we go out with, and it will be great to go out on the road with them. They are not kids anymore they are geezers and professionals and terrific fun. You have been on vocal duties and guitar since 2000. What have been your highlights? I’ll never forget the first time I went to Japan and Australia they were boyhood dreams. We played at Glastonbury in 2010 the only time the band has ever done it. We were one of the first groups on in the Friday afternoon at 2 o’ clock, and the weather was gorgeous – a beautiful British summer’s day. We had the same slot as Lady Gaga had the year before – she pulled 35000 people, and we pulled 80000 people. To walk out onto that stage in bright sunshine and see a crowd like that’s something that will live with me forever. Unfortunately, the thing about gigs like that is they go over in a blink of an eye – you barely have time to enjoy it. We played for an hour, and we were greeted like conquering heroes – it was fantastic and ill never forget that. Do you have any plans to release new music? Have the Stranglers more to say? Yes, we do have a lot to say, we are right in the midst of writing at the moment. It’s not that easy writing as we are spread all over Europe but we are writing yes, and I’ve been making demos here at home in the studio. That’s the great thing about the advances in technology today I can make a demo here at home in Yorkshire and email it to everybody, and then we start to talk and get together. We get together next week to rehearse and talk about new songs. We are excited about it because as it is these days, there are no record company constraints or deadlines. At one time it was the most important thing in the business to makes records and get the records out to the public – now its a completely different market and environment. I know that there are bands making recordings and there aren’t even tangible physical things that you can hold in your hand now. They just release them out on the internet, and they are out there in the ether – that ’s always been weird to me which is why we still release different formats such as vinyl and limited editions, etc. 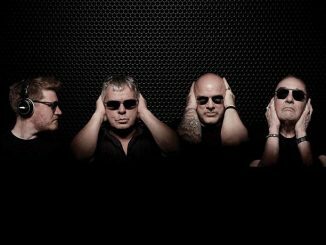 So hopefully next year will see a new Stranglers album if the stars align but we will have to see. I’ve got an arsenal of records – There was an album in the early 90s by Neil Young & Crazy Horse called Ragged Glory – wherever I go that album is always with me. There’s an old AC/DC album from 1978 called Powerage which is for me one of the finest moments for that particular kind of music. There is a fantastic band from my hometown of Sunderland that I’ve always loved called Field Music. I did something for the BBC a few years ago, and I had the privilege of interviewing them. For once I was the interviewer, not the interviewee, so I thought I must check out their music and find some of their stuff, so I downloaded a double album of theirs called Measure, and that has been with me ever since – I just adore it, it is such a good record. I see the lads from time to time, and of course, they are very self-effacing, and modest and everything and I always tell them how much I like that album. For anybody that doesn’t know the album, it’s like a cross between Led Zeppelin, XTC and Crosby Stills, and Nash. Its just got everything – an excellent record. I listen to a lot of stuff and if I’m honest a lot of it is old stuff. We get a lot of CD’s given to us from support bands and people that come to gigs. I get home after a tour, and I find that I have like six CDs in the bottom of my bag, so I put them on in the car. Recently I’ve been listening to a lot of David Bowie, Elvis Costello, and Nick Lowe. More info on the Stranglers HERE. FIELD MUSIC Share New Single “TIME IN JOY”- Listen Now!